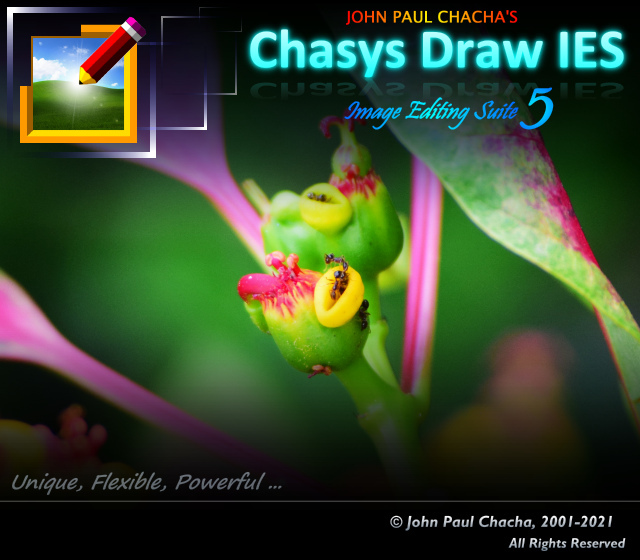 Chasys Draw IES is a suite of image editing applications including a layer-based image editor with adjustment layers, animation, icon editing support and super-resolution via image stacking (Chasys Draw IES Artist), a multi-threaded image file converter (Chasys Draw IES Converter) and a fast image viewer (Chasys Draw IES Viewer), with RAW image support in all components. The whole suite is UAC aware and is designed to take advantage of multi-core processors, touch-screens and pen-input devices. Chasys Draw IES is updated regularly, with a new version coming out every 2 to 3 months. If you have Chasys Draw IES installed on a computer with an internet connection, you will be notified of updates as they become available. You can also visit this page to check.